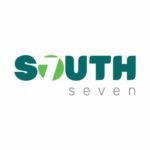 The South 7 are a group of angel investors who are committed to nurturing and fortifying human capital and innovative startups/ideas in the South Eastern region of Nigeria through early stage funding. Hello everyone! Thank you for the work that you do, I am impregnated by your initiatives. I would ask you to join me on my initiative and that together we move towards our objectives. Thanks for visiting My profile and take a look at my Project.Good Continuation … The sphinx! Hello everyone! I’m new here.